an unforgettable travel experience at an affordable price. 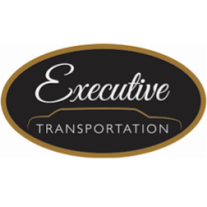 Thank you for visiting Executive Transportation Services. We are your Airport Shuttle, Private Car, and Charter Service connection for the Quad-Cities region of Louisville, Lexington, Cincinnati, and Indianapolis USA. We accomplish this by paying meticulous attention to every detail of your trip. Each of our chauffeurs has received more than 100 hours of extensive guest services training, making them the most reliable, efficient, and knowledgeable transportation experts in the area. In addition to the exceptional training of our staff, we are prepared to accomodate any size party, with vehicles ranging from luxury sedans to fully furnished tour buses. You can rest assured that you will arrive at your destination safely, in both comfort and style, and always on time. That’s the Executive Transportation Services promise to you. Whether you’re in the area for business, pleasure, or both, we are ready to accommodate your travel needs. Because we understand you have many options in selecting a transportation service provider, our commitment is to exceed your expectations with professionalism from end to end. We take reliability and punctuality so seriously that we make an on-time guarantee. If your ride is more than 15 minutes late, the ride is on us. There are no hidden fees or surge prices with us. Your affordable, all-inclusive rate covers all taxes, tolls, fees, and gratuities. Need to get to or from Louisville, Cincinnati, Lexington, or Indianapolis? We will get you there on time, every time in one of our comfortable vehicles.